I remember eating barbecue shrimp at Ruth’s Chris for the first time many ears ago. Now I make my own version that has just the right amount of sweet, salt and heat. My husband said this shrimp was a 10 out of 10. We had broccoli, lettuce and sugar snap peas straight from the garden. 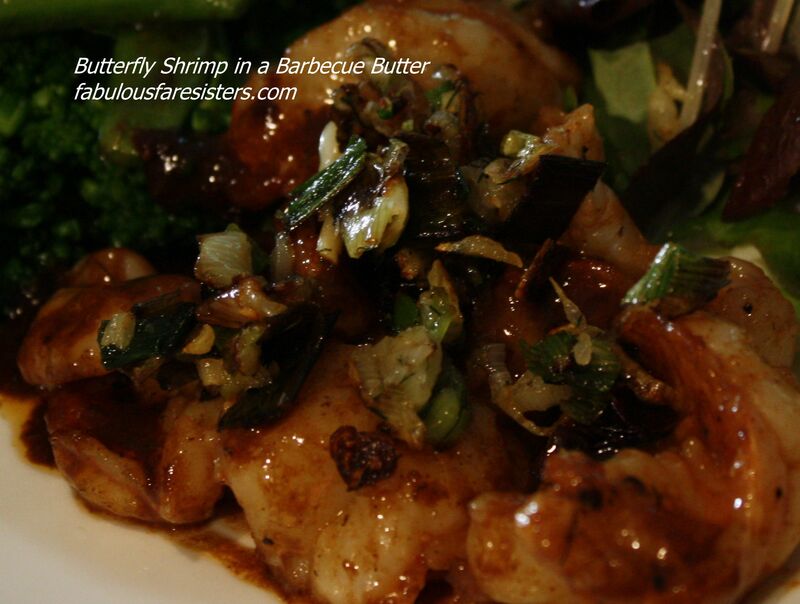 I like to butterfly the shrimp for this dish, somehow it just feels like ‘more’. I make this barbecue sauce and use it for chicken, pork and fish. Butterfly the shrimp and set aside. Chop and sauté scallions in olive oil in a skillet on medium heat. Add shrimp and cook for 2 minutes on each side. Next add barbecue sauce and butter. Heat for two minutes more and serve with scallions on top. Collaborating with my sister Linda on our many food blogs has been a lot of fun! Our family’s are reaping the delicious benefits. Oh no, no electricity? I praise God I have a generator for bad storm outages cause I couldn’t live in the sweltering heat of Louisiana or the bugs cause they get worse with heat lol. I finally broke down and bought one Thursday…so we had the fridge and a few lights and fans. It finally came back around 1 pm today..thank God! !